Get fit and keep active at the Sports Centre. Open to the public daily, the centre has a fully equipped conditioning studio boasting a selection of equipment including tread climbers, treadmills, bicycles, free weights, rowing machines and elliptical trainers. 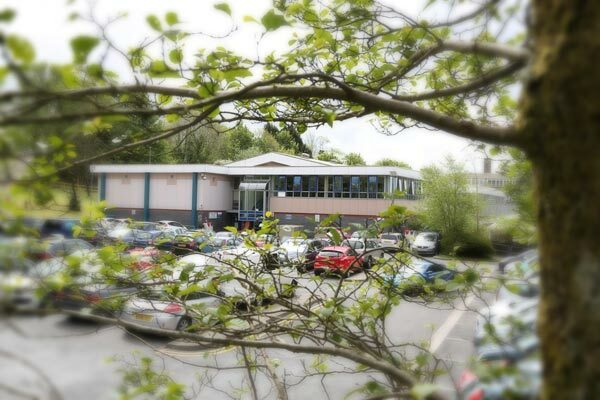 The centre has a multi-purpose sports hall (available to hire) and squash courts. We also host a range of fitness classes including Keiser spin, circuits and Pilates. We are the perfect venue for community events and childrens’ parties. We’ve kept our timetable simple, working it around our five most popular classes. All our classes are tailored to different abilities and fitness levels. An indoor cycling class to music focusing on endurance, strength, intervals and high intensity training. An excellent workout and a fun way to burn calories, condition the muscles and relieve stress. Combines cardio and conditioning exercises for a whole body work out, using a variety of equipment and environments. A bootcamp style session to increase strength, power and aerobic fitness while burning away fat – all before the rest of the world is out of bed! Uses a wide range of weight bearing and equipment based exercises. Sessions are always varied to keep motivation high. Focusing on your posture, body alignment and core stability. A full range of slow movements are practised to encourage muscle flexibility. Got a special birthday coming up? 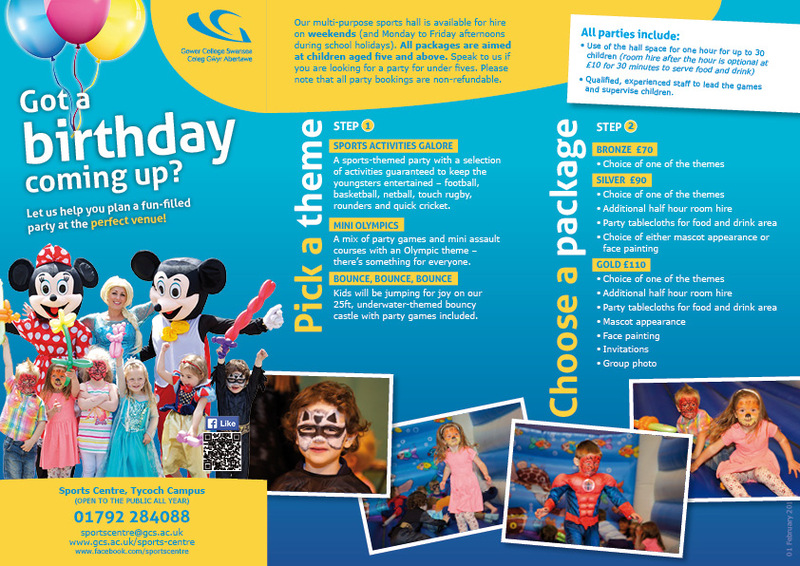 Let us help you plan a fun-filled party from just £70! *Off Peak Membership option: Monday-Friday 6.30am-4.30pm and all day Saturday and Sunday only. *You must have valid proof of student status i.e. NUS Card. Meet Bobbie. She enrolled on the fitness instructor course so that she could offer exercise as well as health and nutrition advice to her clients. Inspired? We offer certificates in fitness instructing and personal training and have helped some of the very best get careers in the fitness industry. *Please note that the Sport Centre is subject to closure in the event of adverse weather conditions. If any part of the college is closed in these circumstances, a message will appear on the homepage and will be updated frequently.